"Estrechez de Corazón", Classic Chilean New Wave. PLUS: New Order, "Perfect Kiss". Los Prisioneros were a marvelous band. 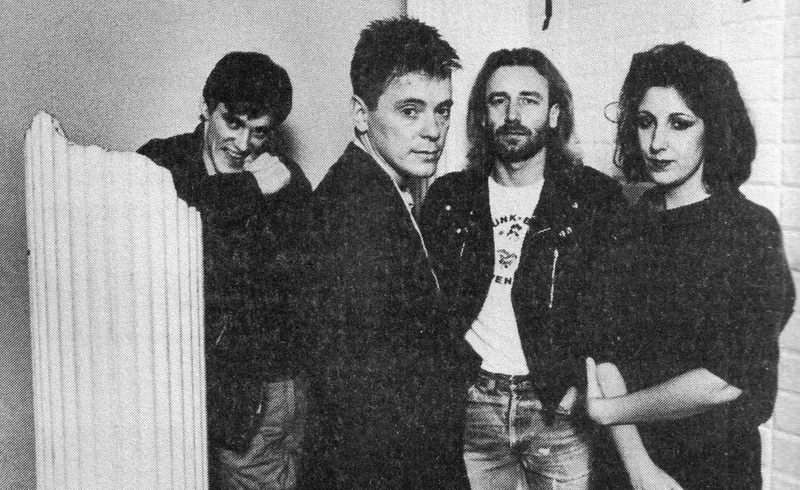 For me, they’ve always brought to mind another great new wave group—New Order. Like New Order, Los Prisioneros created pop songs that were stylish, subversive, and most importantly, moving. The philosophy guiding both of these bands: If it had to, cool always made way for emotion. That’s why their songs endure. That’s why “Estrechez de Corazon” and “The Perfect Kiss” can affect and touch new generations hearing them for the first time. I was around ten years old when I first heard “Estrechez de Corazon” and “Perfect Kiss” on a cassette tape mix someone (probably a relative) had made for my parents to give them a taste of what was hot back home (Lima). Nowadays, my parents might not dig these tracks for their dance appeal but they can appreciate them for their emotional relatability. Though the allure of their trendiness has worn off, “Estrechez de Corazon’s” insights into sorrowful desire and “The Perfect Kiss’” compassionate exploration of tragedy, make these songs meaningful to this day. Somewhere there’s a ten-year-old kid discovering this old “new” wave stuff.